What is Sacred Geometry and how does it affect our everyday lives? There is hidden power in the understanding of how shapes, patterns and cycles create our physical world and help us to expand our multi dimensional self. 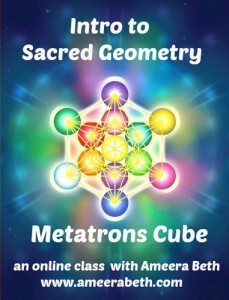 In this webinar Ameera introduces you to Arch Angel Metatron and Metatron’s Cube, a Sacred Geometry blueprint for all of creation and manifestation. Ameera will include a copy of the powerpoint presentation for FREE!. ​This webinar is 2 hours and 37 minutes long. ​In this powerful activation with the great Arch Angel, Ameera will directly connect you to Metatron through the insertion of his Sacred Geometry (Metatron’s Cube.) in your auric field. An integration with Metatron allows us to access the potency of his power as the “Voice of God” to manifest intentionally through the Blue Print of all Creation that is Metatron’s Cube. The true feminine has arrived on earth. 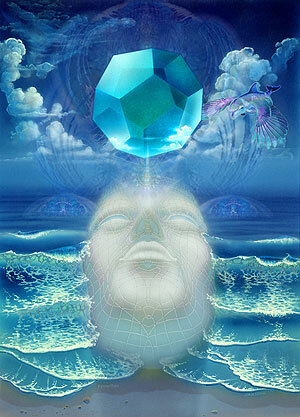 The feminine that holds the Divine geometric blue print the sacred feminine in her most potent form: grace and presence. In this activation Ameera envelops you in the new feminine rays (aqua/pearl) and draws up the Goddess geometries from the Earth into your energy field. This is the balancer to the masculine Metatron Activation. We are now stepping deeper into our Spiritual Mastery. 13 is the number of The Master, and our 13 Chakra, the Sacred Soul is now coming fully activated. This meditation will introduce you to your 13th chakra, and prepare you to receive and integrate your sovereign right to be the Master of your purpose, destiny and energy. Ameera’s passion and specialty is shifting her clients into emotional and energetic sovereignty. Sovereignty is the knowledge that we are our own ultimate authority. true North and purpose for this planet. through Divine Will and communion with God. Past Life Regressions - Regressions through hypnosis into other lifetimes happening simultaneously. The Sacred Touch of Atlantis- 13 chakra and Aura clearing and frequency upgrade similar to the healers of Atlantis and the Temple of Poseidon. 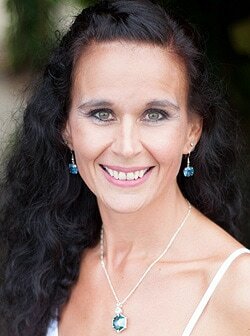 Ameera Beth Mer Healer is an intuitive, Atlantean High Priestess and incarnated Mer person. Ameera’s Spiritual lineage is of Atlantis, Lemuria and the Sacred Feminine. She considers herself to be an ambassador for the remembrance of the wisdom and philosophy of the Kingdom of Atlantis and a teacher of Sacred Geometry. Her specialty is helping others to embody the “Art of Detachment” and reclaim their sovereignty, raise their vibration, create heathy boundaries and discover soul purpose. She is very skilled at helping her clients to cultivate their own unique connection to Spirit. Ameera is an advanced level Past Life Regressionist, Mentor, Ordained Minister and retreat leader. She lives on Kauai Hi, and hosts groups, couples and individual healing retreats. You can meet with her by Skype for personal sessions, or go visit her on the Island.